Sarah and I standing on the Main Midway at Cedar Point on Wednesday, May 17th 2006. This was Sarah's first trip to CP. If I was standing in the middle of the park, how was I able to capture this picture from the webcam? 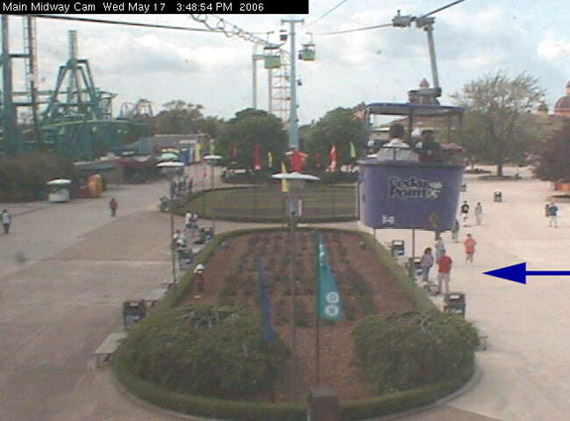 Tomorrow, Cedar Point's greatest webcam moment.